An antidote to opiate overdose exists and is successfully being used to save lives in a number of North American cities, including Vancouver, Toronto and Edmonton. However, the drug — naloxone — is not approved by Quebec’s prescription drug plan. An antidote to opiate overdose exists and is successfully being used to save lives in a number of North American cities, including Vancouver, Toronto and Edmonton. Unfortunately, in the time it takes for a person who is overdosing to get to a hospital, they could very easily die. Naloxone has no negative side effects if accidentally administered to a person who was not really overdosing from opiate consumption. However, the positive effects of the antidote are usually short-lived; people who really have overdosed still need to seek urgent medical attention because they can re-overdose after a time delay of between 30 to 60 minutes. 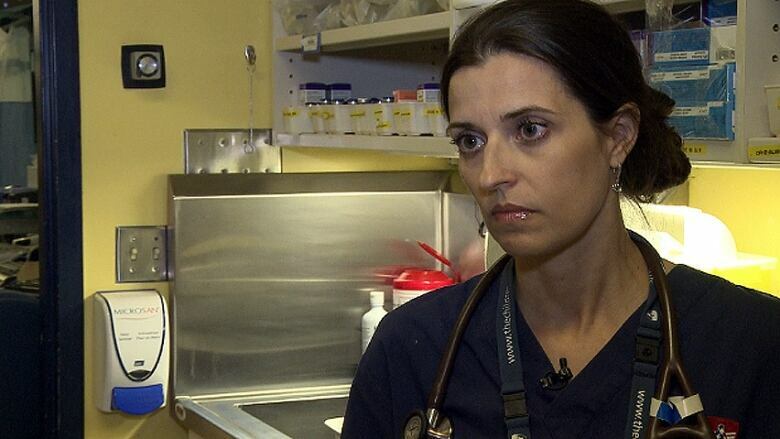 “When people stop breathing, physiologically, it’s only a few minutes after that the heart stops so there’s not a lot of time, and sometimes that few minutes’ delay is insufficient for an ambulance to go to the bedside and administer the antidote,” said MUHC toxicologist Dr. Sophie Gosselin. In some parts of the world, naloxone is available as an auto-injector, similar to an EpiPen. Dr. Marie-Ève Goyer is an HIV and addiction specialist. She said it’s a shame more paramedics and other first responders don’t yet have the training required to administer naloxone. “It’s very effective. Rapidly, in a couple of minutes, the person is moving from not breathing to being on his feet. That’s something we should have in the community, not just in the hospitals,” Goyer said. A naloxone nasal spray is currently being developed by British pharmaceutical company ReckittBenckiser. Goyer said Health Canada has told people working in the public health sector that this form of the drug won’t even be available until 2015. She said the Quebec health ministry has taken note of the rise in opiate overdoses in Montreal, and hopes the department will be able to put pressure on Health Canada to make injectablenaloxone available in the interim while waiting for the nasal spray. Pharmacist FéliceSaulnier said it would be relatively easy to teach injection drug users how to administer an injectable form of naloxone. Ideally, friends and family members around injection drug users could be taught how to use it as well, in case the users are unable to administer it themselves. The final piece to the harm reduction puzzle in Montreal is, of course, the four supervised injection sites the city was promised in late 2013. The multi-site model, Goyer said, is to respond to how spread out drug users are in Montreal compared to a city like Vancouver, where most drug users are concentrated in the Downtown Eastside neighbourhood. “In Montreal, we are ready. We did all our protocols, all our medication, everything is ready. The training that everybody will need, how we’re going to share the job between social workers, between doctors, nurses, etc., everything is written. But it was sent to the federal agency and now we’re waiting for an answer, and that’s what’s taking so long,” Goyer said. If Montreal gets the federal legal exemption it’s waiting for, it would become the first city in Canada to have supervised injection sites that did not begin as part of a research project. However, in order to move forward, the government would need to exempt staff and users from the federal law on drugs and other substances. The government denied this exemption to Vancouver’s Insite program several years ago, but lost when the Supreme Court ruled in Insite’s favour. 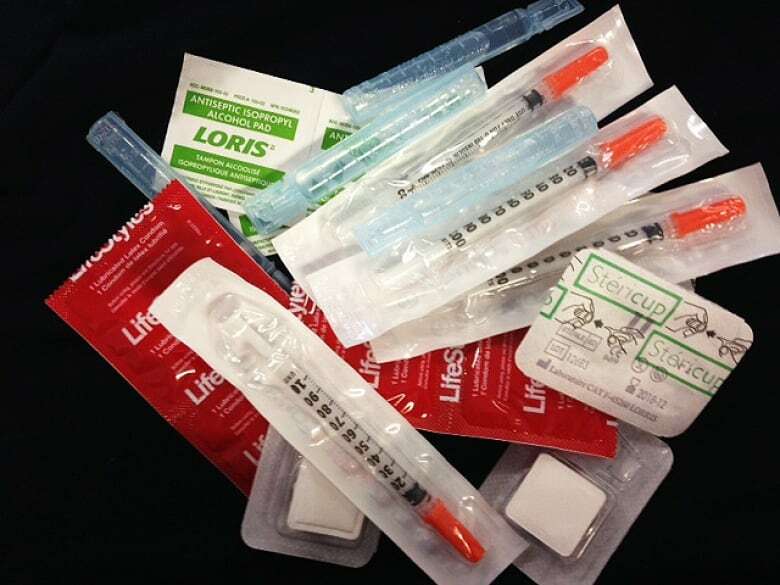 Saulnier said having supervised injection sites is crucial in helping to save lives and improve the safety conditions in which people consume drugs. “With drug overuse, we can’t just say, ‘We don’t want, we don’t have.’ It’s not the way to treat. We have methadone, we have suboxone, but it’s the not the right treatment for everyone,” Saulnier said. “A supervised injection site can be a really good way to have another way to take care of patients that need help,” she said.